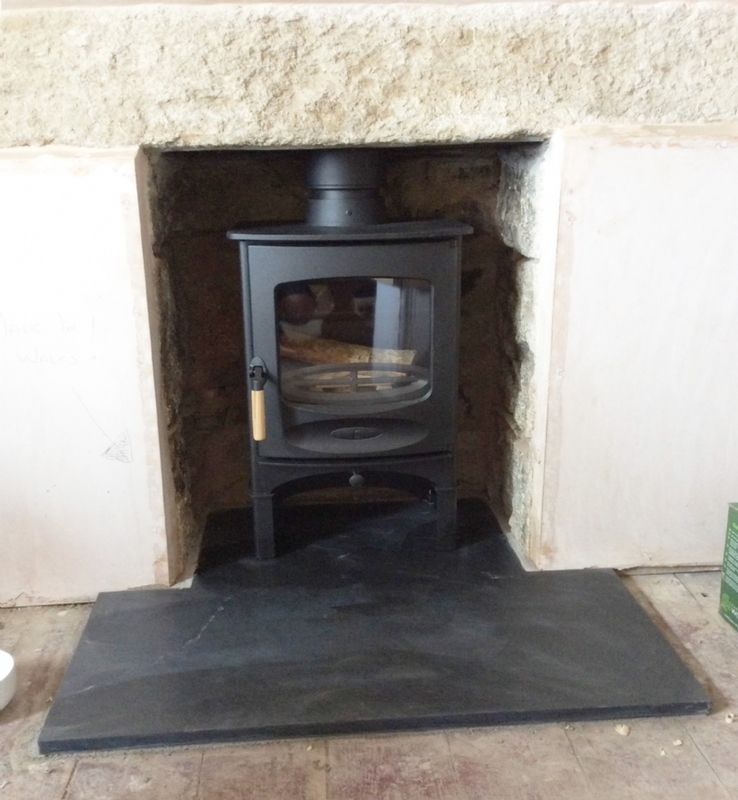 Charnwood C 4 in a stone fireplace wood burning stove installation from Kernow Fires. 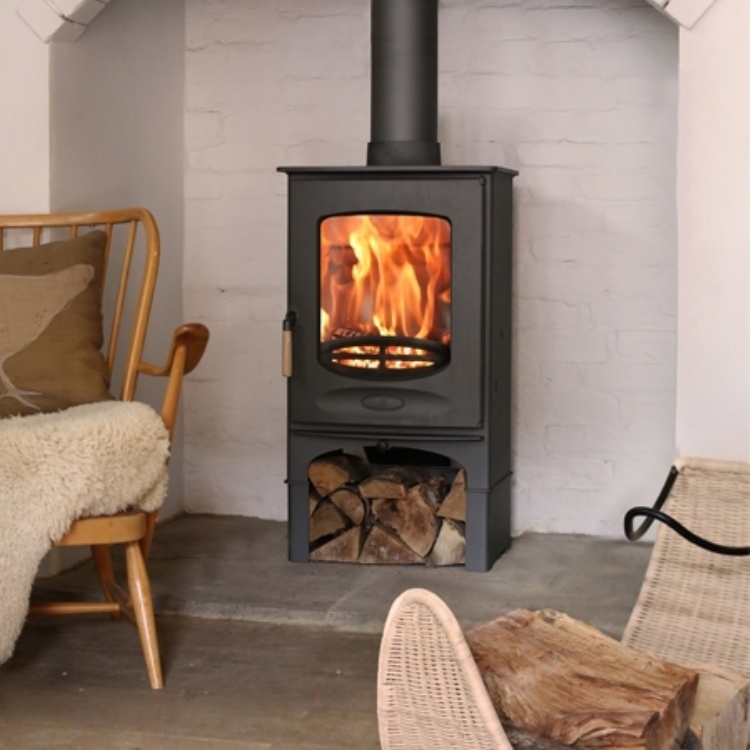 This lovely old stone fireplace has been brought back to life with a very simple British woodburner from Charnwood. 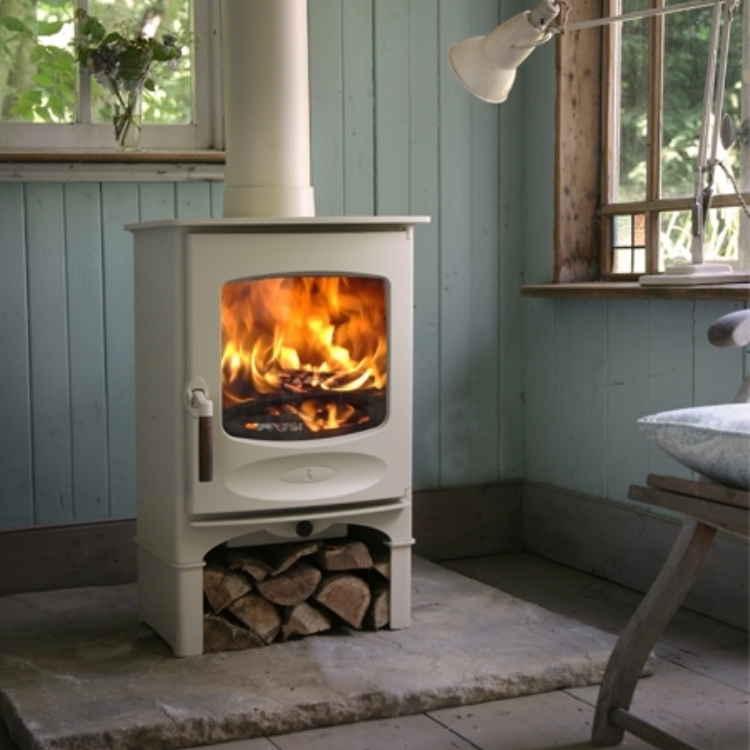 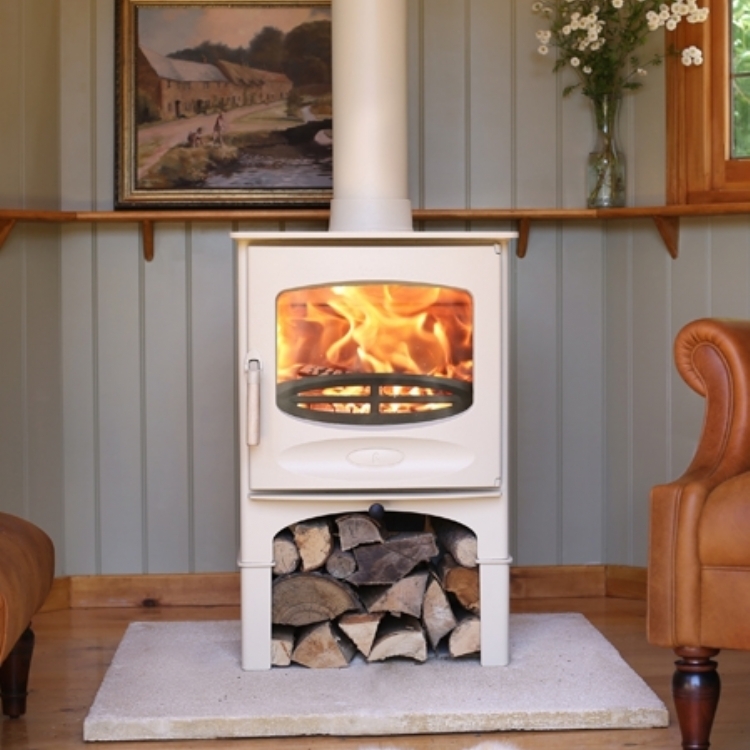 The Charnwood C4 is a compact little stove giving off around 4kw of heat, perfect for this situation.